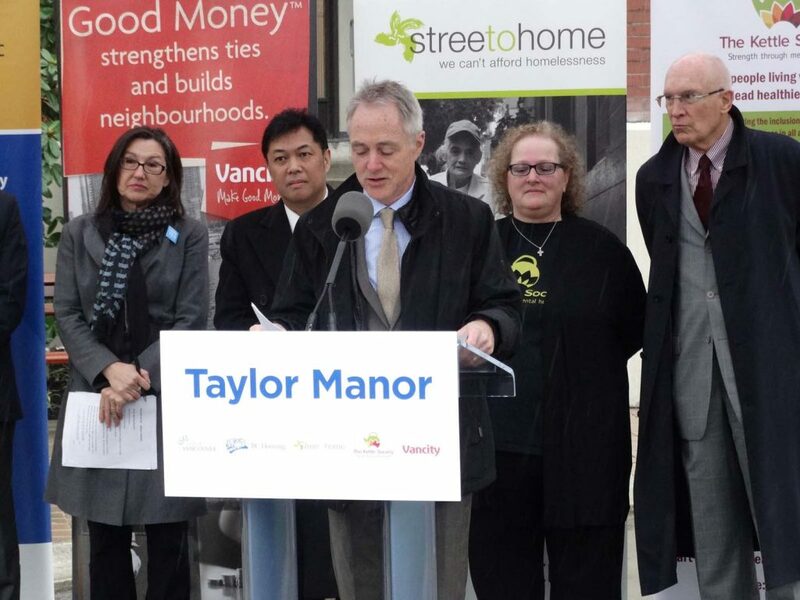 Streetohome contributed to the renovation of Taylor Manor, located at Boundary and Adanac, and the addition of a three-storey annex to the site. 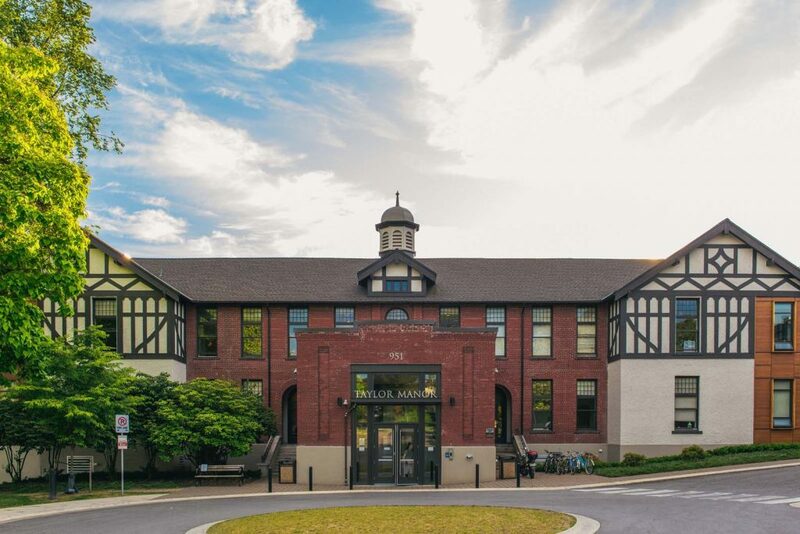 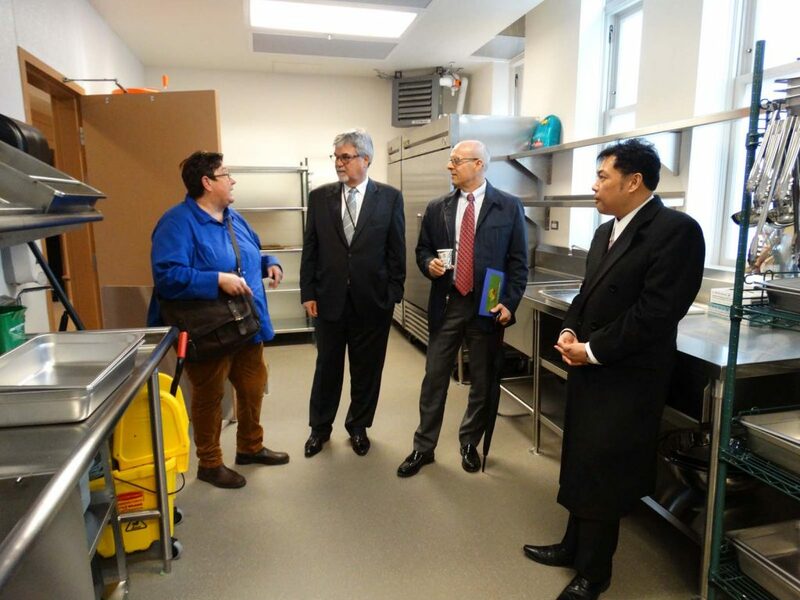 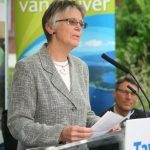 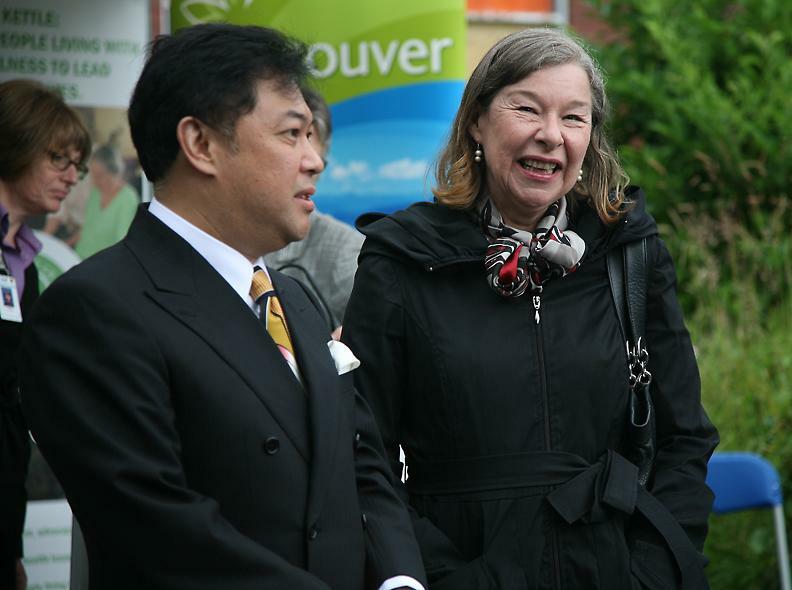 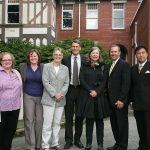 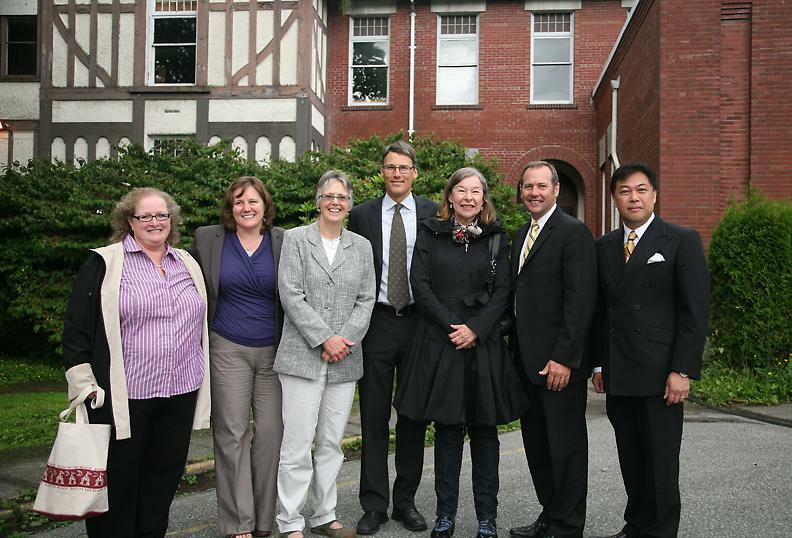 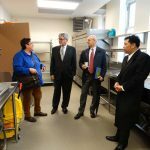 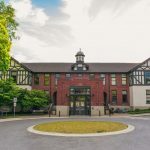 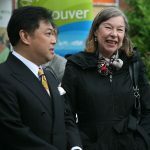 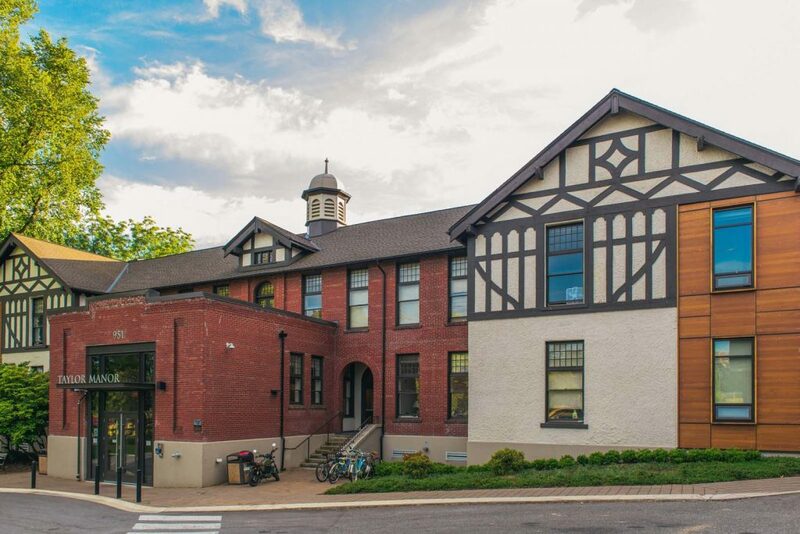 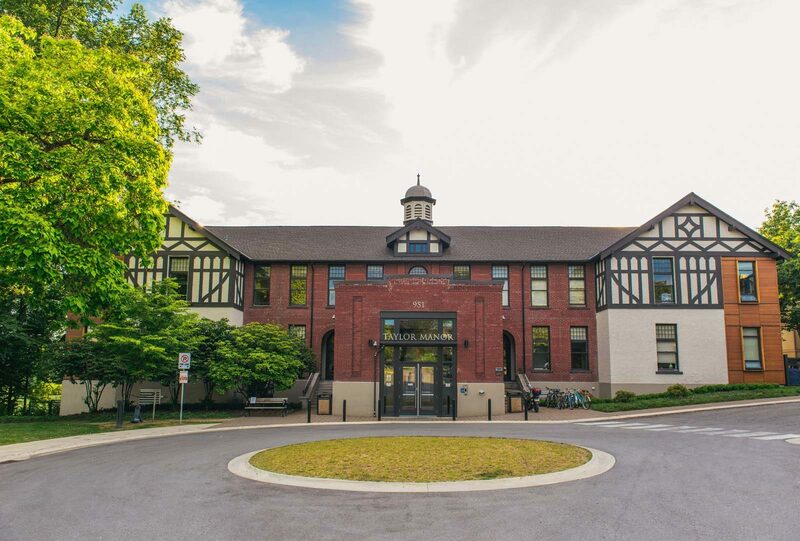 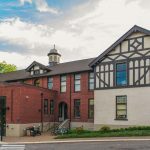 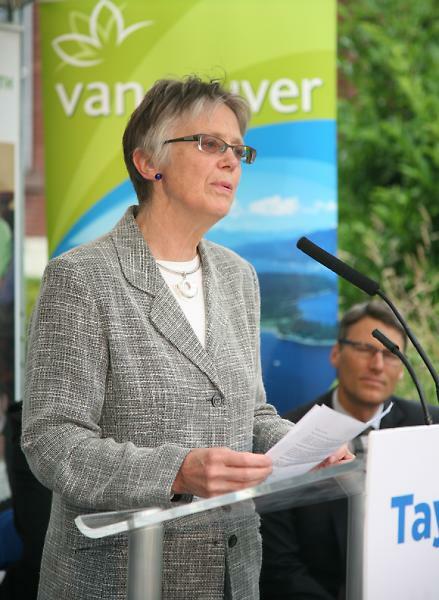 The renewal of this heritage building was supported through a partnership with the City of Vancouver, and provides 56 supported housing units and facilities for homeless people with mental illness and addictions. 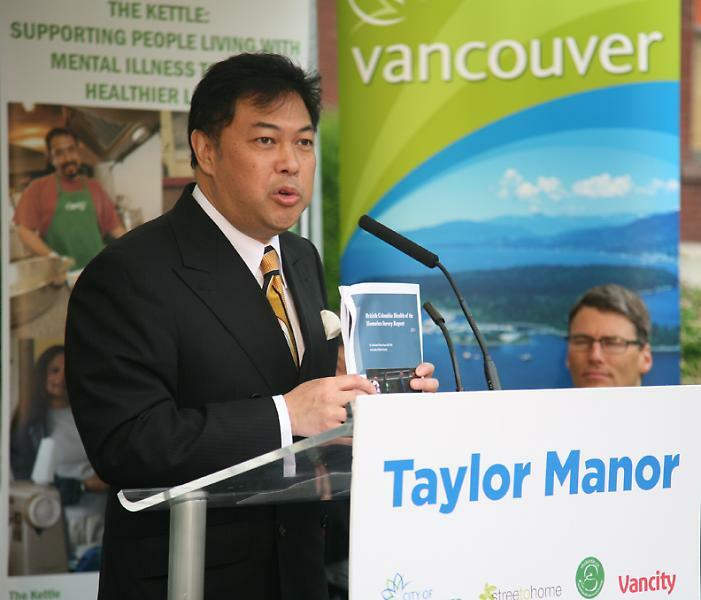 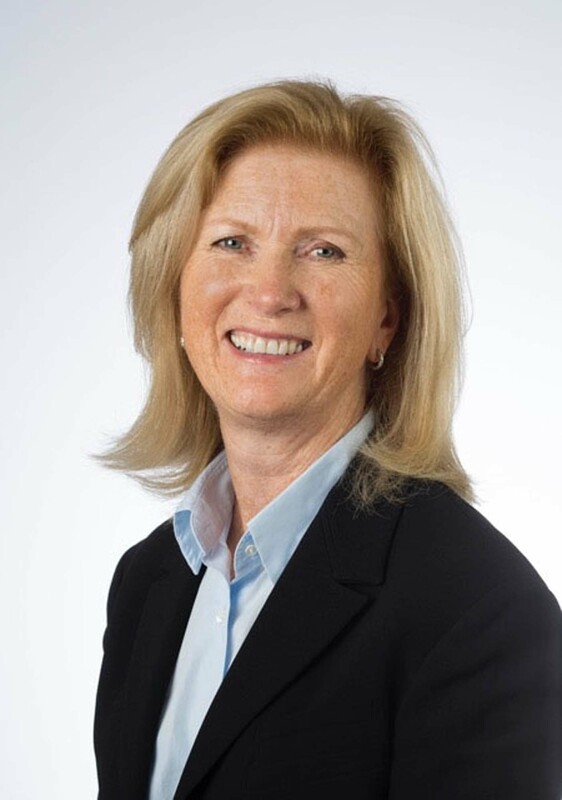 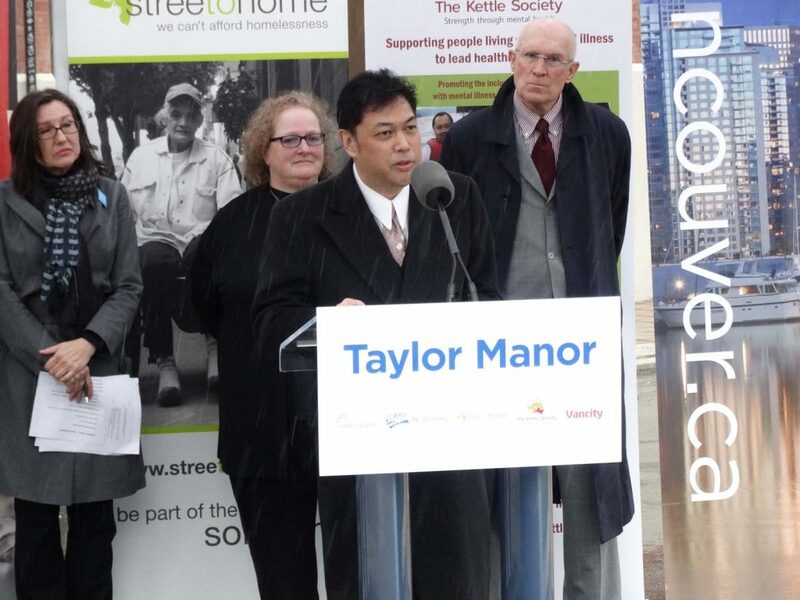 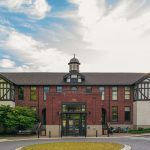 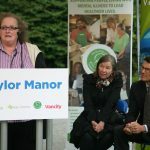 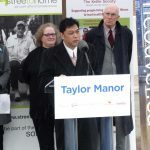 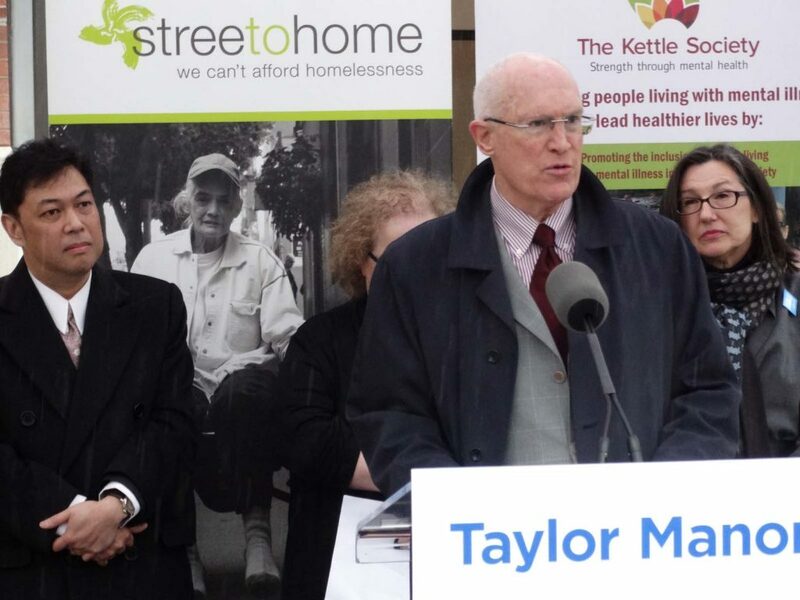 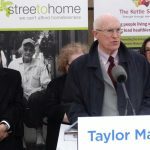 Taylor Manor is operated by The Kettle Friendship Society, offering residents an opportunity to live independently with a tenant-centred philosophy of creating individualized goals, support and services. 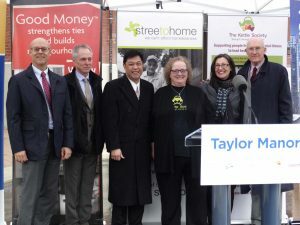 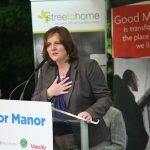 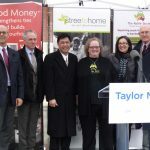 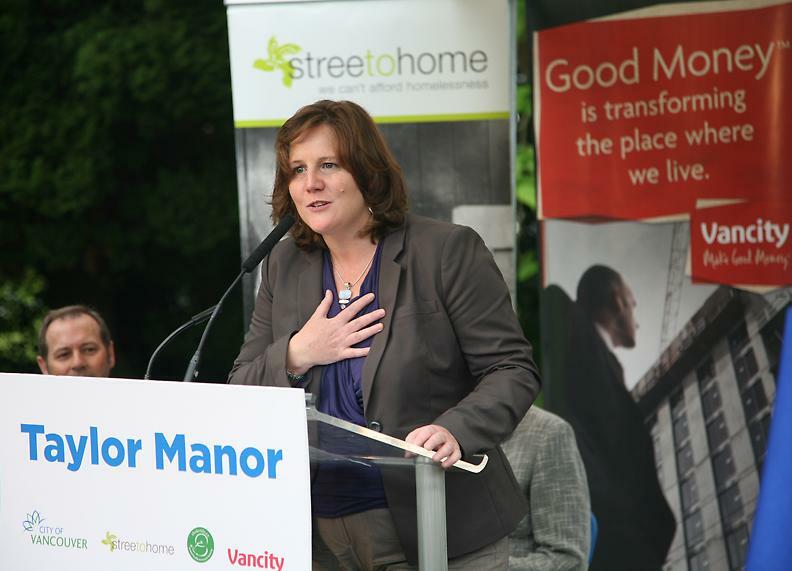 Streetohome’s contribution to this project is made possible in part because of the generosity of Vancity ($1.2 million) and Carraresi Foundation ($200,000). 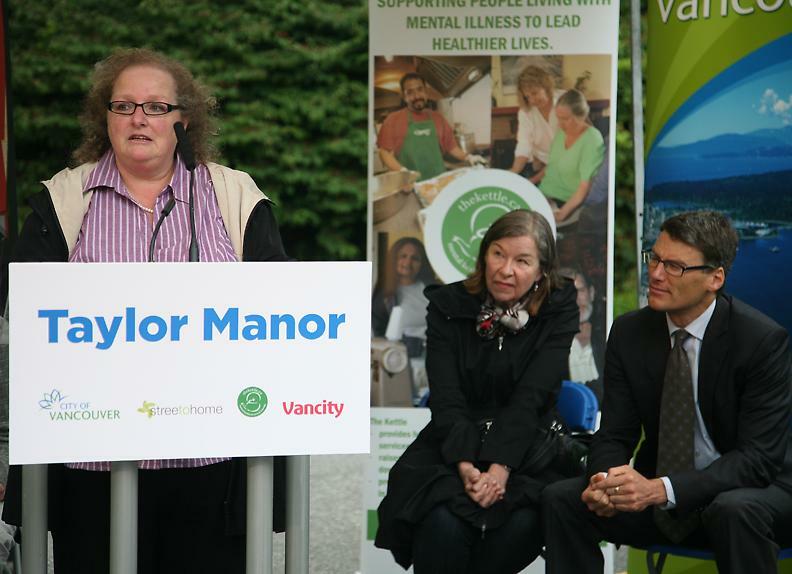 Taylor Manor opened March 2015. 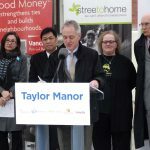 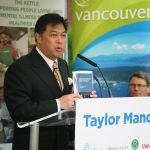 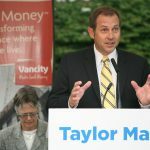 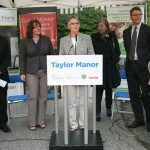 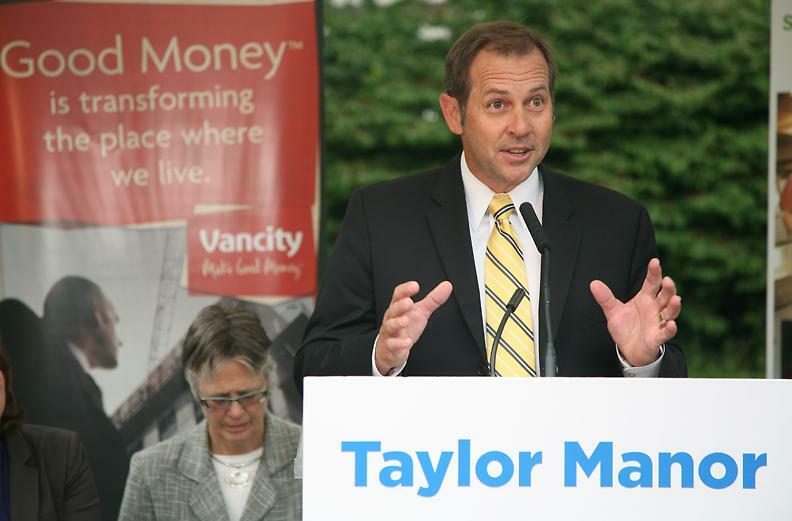 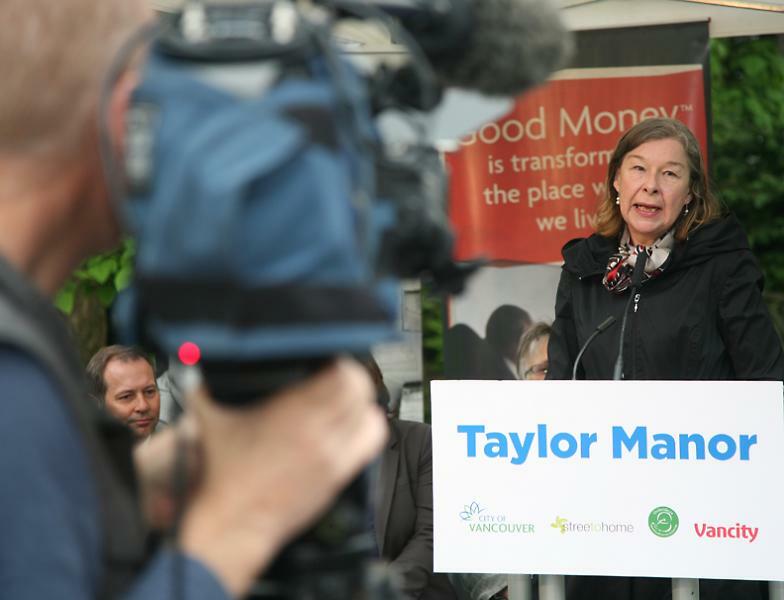 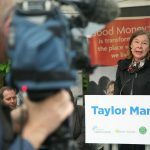 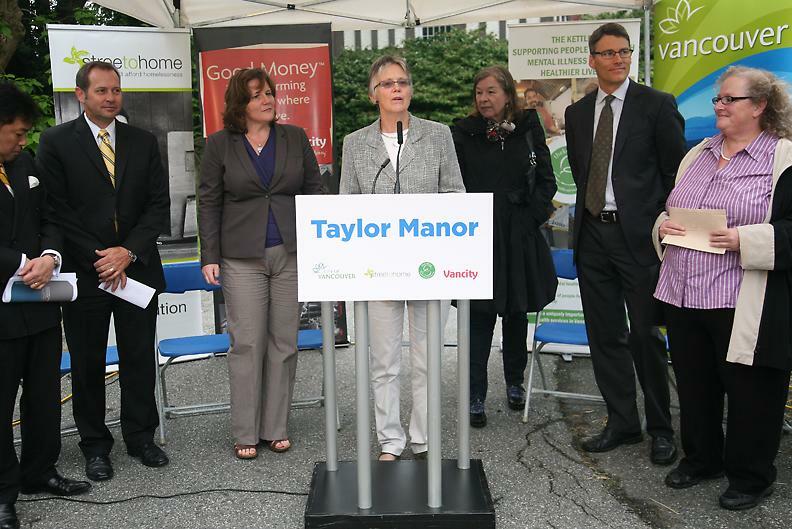 Taylor Manor is a great example of how we can come together and put money to good to help build vibrant, healthy communities that can thrive and prosper. 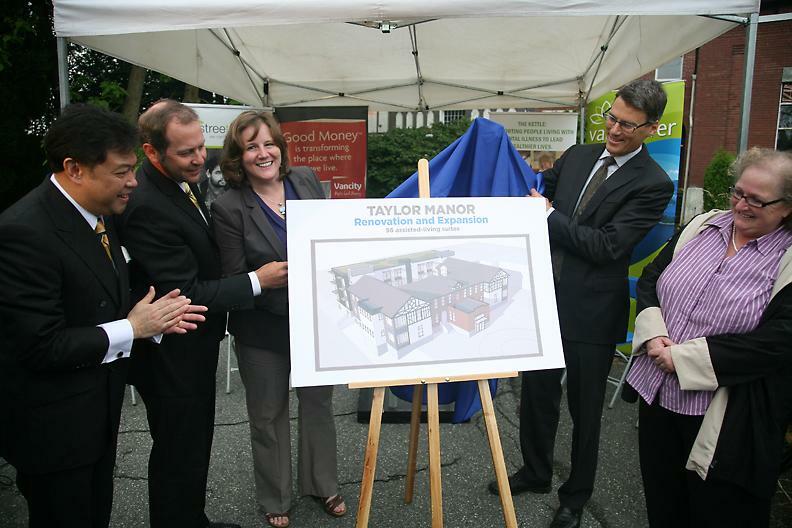 Augusto Carraresi, the founder of the Carraresi Foundation, believed that a benefactor ultimately becomes the beneficiary of a good deed.